Titanium and its alloys are fully resistant to pure water, all nature waters, and stream to temperatures in excess of 315°C [600°F] since a firm passive titanium dioxide film will form which exhibits some surface discoloration at higher temperatures. When the water is contaminated by traces of iron and manganese oxides, sulfides, sulfates, carbonates, and chlorides, still the passivity of titanium does not compromise. Seawater is a typical solution which contains chloride levels greater than 1000 ppm. At temperatures about 75°C [165°F], consideration should be given to possible crevice corrosion when tight crevices exist in service. Titanium and its alloys exhibit negligible corrosion rates in seawater to temperatures as high as 260°C [500°F]. Extremely low corrosion rates of unalloyed titanium (grade 1, 2, 3, 4, 7, 16) and a typical titanium alloy Ti-6Al-4V (ASTM grade 5) after up to 3 years of exposure in seawater are recorded in below table. Pitting and crevice corrosion are totally absent in ambient seawater, even if marine deposits form and fouling occurs. Titanium tubing exposed for 16 years to polluted and sulfide-containing seawater shows no evidence of corrosion. Nil corrosion rate in ambient seawater have been found for unalloyed titanium and titanium alloys, such as Ti-5Al-2Sn, Ti-13V-11Cr-3Al, Ti-6Al-2Nb-1Ta-0.8Mo, and titanium-palladium. Exposure of titanium to marine atmospheres, splash or tide zone, and soils also does not cause corrosion. Moreover, the excellent corrosion resistance of titanium to seawater is relatively unaffected by velocity. It has been proved by many engineering practices that unalloyed titanium can be used in seawater for the chemical, oil refining, desalination, and power industries with uncompromising corrosion resistance for more than two decades. As result of its immunity to ambient seawater corrosion, titanium is considered to be the technically correct material for many critical marine applications, including many naval and offshore components. 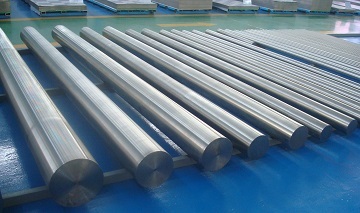 *Pure Titanium: the unalloyed titanium ASTM grade 1, 2, 3, 4, 7, 16; Ti-6Al-4V: grade 5 titanium alloy. *The tabulated values are the corrosion data of unalloyed titanium and Ti-6Al-4V alloy in ambient seawater. *The corrosion rates at different ocean depths are based on engineering experiences or lab test.